The role of the Board of Deacons is to demonstrate God’s love for His people. The Deacons are a body of eighteen members who serve staggered 3-year terms as they fulfill the many activities of this committee. To demonstrate God’s love for His people through member care and assistance in worship, and to engage in service to the Plymouth Community and God’s world. The role of the Deacons focuses on compassion for and ministry to our church family. Deacons serve in many ways, including working with charities, attending to those in need, and supporting the mission of FPCP. The Board of Deacons meets on the 2nd Thursday of the month at 7:00 p.m. in the Calvin Room. Every Sunday morning, a team of Deacons is on hand to greet worshippers, answer questions, and direct people to the appropriate areas of the church. memo line. If you have any additional questions, please contact Jan Sockolosky. Attention Parents! If you would like your student to receive a gift card with a note for final Exam time, please provide any address changes since last semester. We would also like to know of any recent college graduations or new college students since Fall Semester. Please let us know no later than March 25, 2018, by contacting Kathy Bernard. Thank you! We appreciate your support and assistance! Calling all cooks! 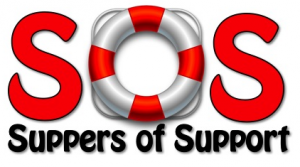 Suppers of Support is a group of volunteers from our church who prepare and deliver food when one of our members could use the help in the event of a death in the family, a birth, or an illness when the member just doesn’t have time or the desire to cook. In all these occasions, we want to be available to help these people and their families. We are looking for volunteer cooks to help with meal preparation. You don’t have to be a Deacon to help with this ministry. All members are welcome to participate. If you sign up, you will be put on a list and an email with dates for meals will be sent out as needed. Volunteers only need respond if the date is convenient to them. If you would like to be added to (OR REMOVED FROM) the list, please contact Denise Stewart or Orlean Heidel. Thank you for considering joining this very appreciated group. You will be glad that you did! 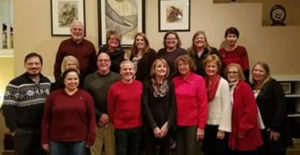 The Deacons periodically accept nominations for individuals and/or groups of people in our church family who are going above and beyond in service to God. Forms are available at the Welcome Desk in the Narthex and can be returned to the Deacon mailbox or can be emailed to Julie Heasley or Katherine Gotshall. Watch the Bulletin for the next nomination period. Take a look around you and nominate an Unsung Hero today! We have established Fifth Sundays as Deacon Sundays and offer you the opportunity to support our hard working Deacons. If you would like to make a special (additional) financial contribution to the Deacons fund, you will find envelopes in the pews marked “Deacon’s Offering” on the fifth Sunday of the month.